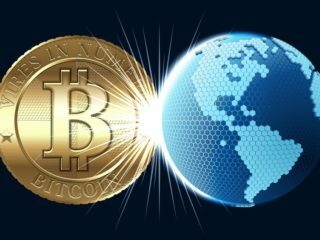 Bitcoin is a global cryptocurrency that allows peer-to-peer transactions between users without the need for a centralized authority. 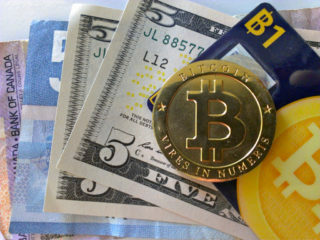 It is the most popular virtual currency nowadays. 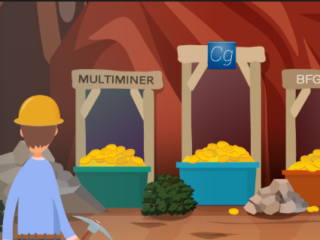 And if you are a lucky digital gold owner, then it’s time to introduce you to cryptocurrency lending platforms, how they work, and what the best sites are. Cryptocurrencies have really taken the finance world by storm and have changed the way we used to transfer money, get loans etc. Like everything else that surrounds Bitcoin, getting loans is different from financing in U.S. dollars. The rates are often lower, your credit score doesn’t matter and funding comes from individuals, not institutions. And you can use a loan to cover any expense, just like a personal loan. Bitcoin has revolutionized the capital loan markets. You can borrow and lend almost instantaneously without unnecessary friction from banks and government regulations. You can crowdsource your loans from Bitcoin owners around the world powered by a crypto economy, and choose an interest rate which you can afford. Through this system, creditors get profitable interest rates and borrowers can get cheap loans. It happens in a hassle-free manner through peer-to-peer platforms which leverages Bitcoin technology to make everything fast and cheap. Bitcoin loans work similar to a standard term loan: you need to pay back the borrowed money plus interest and fees over a predetermined period of time. You can pay it back in fixed installments or all at once, depending on your platform or your preferences. You can also get Bitcoin lines of credit and short-term loans. That’s where most of the similarities end. Since Bitcoin is decentralized and works without the intervention of any government, your loan would be processed by other crypto holders. The easiest way to get a loan is through a P2P lending platform that connects crypto owners with borrowers, usually for a fee. To borrow through a loan platform, you first need to set up an account and wait for verification. Cryptocurrency owners don’t rely on the typical methods of estimating your creditworthiness, such as your credit score or debt-to-income ratio. Instead, platforms give you a trust score — sometimes called a credit score or rating — based on how much they’re able to verify about your identity and financial history. To get a high trust score, you might need to submit extensive documentation. Agent — a person from internal staff who provides the main loan workflow and conducts loan application through all states from submission by a client to concluding an agreement. Amortization schedule – a schedule for paying off a debt (often from a loan or mortgage) over time through regular payments. A portion of each payment is for interest while the remaining amount is applied towards the principal balance. Application (loan application) — a document that provides the essential financial and other information about a client, on which an investor bases the decision to invest. Loan applications are submitted by a client through the website. Borrower, client – an individual or group that has received money from another party with the agreement that the money will be repaid. Most borrowers borrow at interest, meaning they pay a certain percentage of the principal amount to the creditor as compensation for borrowing. Compliance Officer – an employee whose ensures that the company complies with regulatory requirements and internal policies. Interest – the compensation paid by the Borrower to the Creditor for the use of money as a percent, or an amount. Interest rate – the percentage of a loan paid by the Borrower to the creditor. Lender – an individual or a group that makes funds available to the borrower for a stated period of time and for a fixed or variable rate of interest with the expectation that the funds will be repaid. Liquidation — a process of closing a loan by liquidating (selling/keeping) a part or all of the collateral crypto by the Obligee if a Borrower fails to make payments according to the amortization schedule. Loan – a sum of fiat money that was borrowed and is expected to be paid back with a fixed or variable rate of interest within a stated period of time. Loan application – a document with a questionnaire that a Borrower has to fill out with his/her essential financial and personal information and submit to the system. Loan calculator – an option provided by the system that allows the Borrower to determine the repayment plan, interest rate, and amortization schedule of a loan. Loan limit – a limit to the amount of loan that a Borrower can receive. Loan-to-value risk – a risk assessment ratio that the Agent and Creditor examine before approving a loan. Maturity date – refers to the final payment date of a loan at which point the principal (and all remaining interest) is due to be paid. Principal – the amount of fiat money that was borrowed by the Client and has to be paid back. Risk profile — a set of parameters that outlines the number of risks, types of risk, and potential effects of risks including the loan-to-value ratio. Register on a peer to peer lending platform and go through their verification process that may include some or all of the following steps. Unfortunately, getting a crypto loan without verification is essentially impossible as it is too risky. Choose the right type of loan based on the rates determined by the platform, or as agreed with the creditor directly. Get approval in as little as a few hours and receive your funds (from anywhere in the world)! Live in a country where cryptocurrency is regulated, such as the United States. Have a high trust score. Government-issued ID.A scan of your passport is preferred, because many of these sites are international. Verification of your address.Utility bills in your name are ideal. Email verification.Typically, the platform sends a link or a code to your email address. Credit card verification.Bonus points if you can prove that you’ve consistently paid your credit card bills on time. Connection to your social media.The more the better — which helps prove that you’re a real, active person. Connection to online payment accounts. Platforms use your transaction history on online accounts like PayPal or eBay to verify that you pay for things on time without red flags in your past business dealings. Verification of income. Recent pay slips, invoices or tax forms prove your ability to repay a loan. Some crypto creditors also ask you to put up collateral to secure your loan, typically another type of cryptocurrency or something valuable that can easily be resold online. Others allow you to gain trust by being an active member of the community or having other members of the community vouch for you. Setting up a profile picture and investing in Bitcoin loans can also increase your rating. Those who own crypto coins want collateral of some kind to minimize their risk of taking you on as a borrower. You should place many smaller bets instead of a few big bets. This strategy should yield a decent average return that lets you sleep at night quietly at the same time. If you place only one bigger bet, the potential return might be large, but the same applies for the potential loss. Bitcoin lending on Bitbond should yield a return of approximately 10% p.a. in a diversified portfolio of BTC loans. It makes sense to have a geographically diverse loan portfolio. Despite the fact that economic cycles tend to follow a global trend, the economic environment varies from country to country. While one region might be in recession, another part of the world might still experience a dynamic economic activity. When times get tough, defaults on debt also tend to increase. Therefore, you should look into diversifying your loan portfolio geographically. Generally, loans with a longer duration have a higher default probability. A longer time horizon brings more uncertainty. Thus, a longer duration is always reflected in a higher interest rate compared to a shorter duration. When you have a basis of longer dating loans and another portion of shorter dating ones, you can act with more flexibility. As long as you don’t need immediate liquidity, you can re-invest cash flows quickly. Otherwise, you can keep the liquidity and have it ready for consumption. Each rating category represents a different default risk. Higher interest rates reflect the increased risk of lower ratings. Therefore, the average returns from different rating categories should be roughly in the same range. But to make the most of our risk-based pricing method, diversify between rating categories. Ideally, you should have about 20% of your loan investments in each rating category A to E.
It is easy to set up an account on such a platform; it is generally simpler and much quicker than setting up a bank account. This is the biggest advantage Bitcoin lending has over traditional peer-to-peer one. Moving money via Bitcoin around the world takes less than an hour, and costs around $0.06 per transaction regardless of the amount. Using cryptocurrency, creditors from the UK, the U.S. and Australia can invest in an Indian small business at zero fees, making it an attractive proposition. Due to the open-source nature of Bitcoin as a technology and payment network, crypto-based P2P lending platforms are independent from third parties like banks. The sites like Bitbond offer lower fees than the traditional P2P lenders. These potential savings for investors and borrowers are reflected in the table below. Bitcoin is regulated in several countries, but not nearly as many countries as other types of government-backed currencies. It’s likely that you’re borrowing from several countries, making it difficult to hold your creditor accountable if something goes wrong. Bitcoin’s value fluctuates widely throughout the day. If you take out a BTC loan and convert it to another currency, you might end up paying back several times the amount you borrowed due to varying exchange rates. And now it’s time to review the top crypto lending platforms that provide P2P crypto loan. Bitbond is a P2P lending platform using cryptocoin that is a good choice for small-medium enterprises (SMEs) and entrepreneurs. Registered, approved, and regulated by the German government, it advocates borrowing and lending across borders. Bitbond uses Bitcoin as an innovation and installment system to make the first worldwide market for microloans. That is something that wouldn’t be conceivable in the ordinary banking framework, since installment exchanges would take too long and would be excessively costly. They define themselves as a social peer-to-peer cryptocurrency borrowing platform where small businesses can get fast and cheap loans. Once you are through an identity check by providing basic identification details and even submitting a basic financial assessment, you are given a rating. This rating is the ultimate scale on which borrowers are evaluated while clearing them for loans. The higher the rating, the higher will be your chances of getting approved for a loan. Borrowers who haven’t yet been assigned a rating are not allowed to apply for loans. After the formalities have been completed, , the loan request may take up to 14 days to fetch some real results. After the specified time duration has elapsed, and the loan is approved, both the borrower and the creditor receives a repayment schedule that is clearly and conveniently displayed in their user account page on the website. Borrowers can have a maximum of one loan at a time. Interest rates vary depending on the creditworthiness of each borrower. Apart from being a borrower, you also get to be a obligee on the platform if you have the right resources. 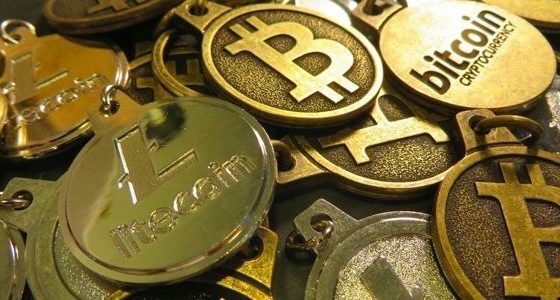 That is, in case you have a good collection of cryptocurrency at your disposal, or would otherwise like to help those looking for Bitcoins, you can always sign up as a lender on the service and whenever you are matched with a borrower, you provide a BTC loan to the person and even make some decent money in the process. Once a perfect match has been found, a contract is initiated. The contract clearly lists the amount of coins which are being lent to the borrower. BTCPOP is a leader in the peer-to-peer loan market and one of the best places to get a BTC loan. They give loans to entrepreneurs and new companies anywhere throughout the world. They have an immense network of financial specialists who consistently loan cash to borrowers at low rates. BTCPOP began working in 2014, with headquarters in Great Britain. The founder of BTCPOP is Lee Bartholomew, but the organization was sold in June 2016 due to management issues. The organization is presently headquartered in the Marshall Islands. Besides offering obligee and borrower matching, the service has a chat system where users can discuss the risks, or whatever they choose. BTCPOP offers guarantees against the principal for certain loans, borrowers’ income and identification verification, as well as direct loan servicing. BTCPOP also allows for the exchange of bitcoin-based loans between altcoins and tracks the reputations of borrowers and creditors. The platform has an extraordinary security capacity and stores their client’s coins Offline (in Cold Wallets). They have an extremely incite benefit and a credit gets endorsed in a split second. You can get from 0.01 BTC to 500 BTC at BTCPOP. Additionally, they offer 5% to the clients to hold BTC in their record. This eventually makes them a Bitcoin Bank, which gives significant yields. Interest rates: Interest rates on Bitcoin P2P loans is still high compared to fiat advances (except if you have enough insurance for those latter). BTCPOP’s distributed loans depend on credit, not FICO rating. It rapidly get credits from different individuals or profit by advancing cash you have. You set the terms. You set the sum. Do you have an Idea for a Startup? Can’t get a loan from banks or private institutions? Give BTCPOP a chance to finance your next business. Need to begin putting resources into new companies? We generally have incredible new businesses propelling IPO enthusiasts for your venture. Trade BTC to LTC to DOGE and back to BTC. 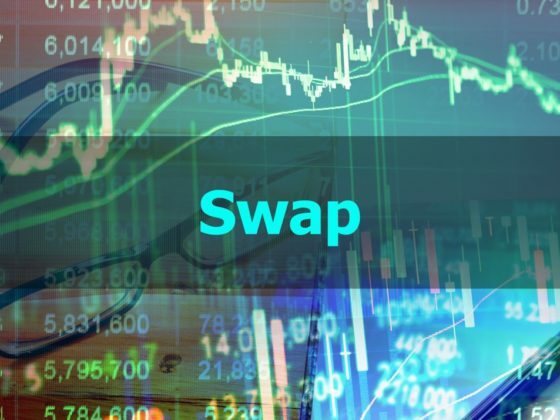 We offer a simple way to swap different crypto coins inside the network. Numerous up to date altcoins are moving to PoS. You can put your coin in a bigger pool to land a little bit of a substantially greater pie. SALT (Secured Automated Lending Technology) is a digital Ethereum loan platform based in Denver, Colorado. 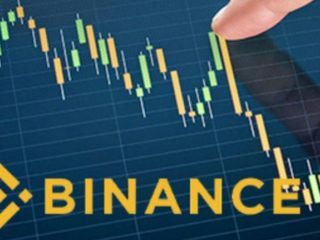 It is among the first similar platforms to enter the crypto space. It uses blockchain and its accompanying smart contracts to create a new system for distributing loans. SALT allows users to offer their cryptocurrencies and other blockchain-based assets as collateral. SALT Lending is blockchain-backed loans, and it means that you put up your crypto assets as collateral and get fiat loans in USD, EUR and RMB. Because of SALT, you don’t have to sell your assets in order to gain some liquidity, you can get cash for your assets, and at the end of the loan terms get your assets back. 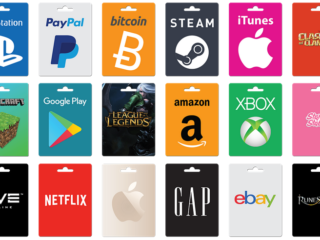 To become a member, you need to purchase SALT tokens that will serve as your collateral. There is a fixed total supply of 120 million. The platform has three tiers – membership, premier, and enterprise – that offer progressively more accommodating terms for the loans. Currently 1 SALT ($10) gains you access up to $10k. Premier plans with 30 SALT gives you access up to 100k. Enterprise plans give you access for 100k and up. If the borrower placed one SALT as collateral , for example, the most he/she can borrow is $10,000. However, a collateral of 100 SALT would allow borrowing of over $1,000,000. Interest on the loans varies between 10 and 15 percent and access to the loans is limited to the availability of funds. The loans themselves are not secured via Ethereum but are made available offline through member creditors that have been vetted as accredited investors. Any altcoins held as collateral are returned after the loan is fully repaid. Due to the volatile nature of cryptocurrency it is natural to wonder how that would affect blockchain collateralized loans. SALT cares about maintaining at least an 80% equilibrium between the loan amount and value of the asset. If the value of the asset appreciates significantly, the borrower can potentially obtain additional funds, if he/she so chooses. However, if the value of the asset drops significantly, then a margin call will be made and the borrower will be asked to put up additional assets to bring the loan back to equilibrium. The creditor also has the option to liquidate some of the assets to help bring the loan back into equilibrium. If you want to borrow BTC, you should definitely check the Credible Friends platform. It is a smartphone app that works as a peer-to-peer credit card replacement by allowing users to borrow crypto from their list of trusted friends. Users can use this app as they would a wallet or a physical Visa card, with repayment being similar to how one would repay a credit card. Borrowers are charged 25% interest using the average daily balance method. 60% of all interest and fees goes to the creditor. Interest charges are applied to borrowers’ accounts monthly, and profits are received by the crypto owners as payments are made by the borrower. Minimum payments are due once per month. Some borrowers may not pay on time; in this case they will incur late fees. Monthly minimum payments are set up to pay interest for the last statement period + 1% of principle. This allows loans to last a long time, maximizing your interest on outstanding loans. Actual repayment times will vary depending on the borrower. Some borrowers may pay loans off monthly, some may carry a balance for longer. The organization generates income by taking 40 percent of the intrigue and expenses. This leaves loan lenders with 15%. Utilizing cryptocurrencies enables the designers to incorporate various yields from the reimbursement of the transaction. Nebeus is more than just a site where you can borrow cryptocurrency. Nebeus is a cryptocurrency platform bringing together cryptocurrency opportunities and a standard bank service. It enables customers to buy, sell, store, remit, give a loan and borrow cryptocurrency funds. Nebeus is an international prosperous company with offices in London and Barcelona, which has turned into a successful credit and trading platform with a multi-cryptocurrency wallet. Nebeus endeavors to convey an exceedingly advantageous, customer-situated administration that takes full advantage of the quickly-growing crypto markets – all while being exceptionally secure, easy and proficient with a best-in-class backend settlement stage giving liquidity on three trade centers in Hong Kong, Tokyo and London. 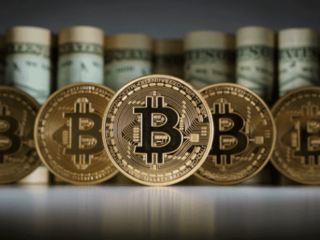 They vary from other stages in that they credit and get BTC, however, moment Bitcoin lending is only accessible in the wake of achieving a high level of approval on the site. This is controlled by a point framework that records confirmation of your credit history. At the point when rank builds, a borrower gets more openings. The principal credit is small and is allowed for a term of up to 30 days. 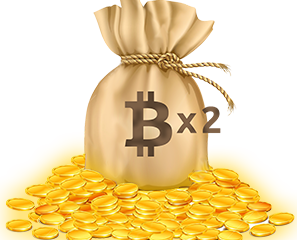 A second credit can be longer and include a larger amount of BTC. The same applies to a third credit. A moment credit is only accessible to those with a rank of in excess of 50 focuses. EthLend is another popular loan platform to look at if you are interested in Ethereum loans. It is a decentralized marketplace for the lending and borrowing of cryptocurrency. The platform seeks to solve the problem of borrowers not paying back the capital of a loan agreement and creditors running at a loss. The marketplace is built on ERC-20 compatible tokens that run on the Ethereum blockchain. The semi-anonymity of the Ethereum network makes it hard to determine if a borrower has a good payment history. By using a mechanism of reputation, ETHLend removes this uncertainty. Each Ethereum address will have a reputation score attached to it so that crypto owners are reassured. The reputation system runs on the Credit Token (CRE) which is a token only used on the ETHLend internal blockchain. Reputation Based Lending is used to create trust between borrowers and creditors using the CRE token as a unit of trust. In addition, this Decentralized Credit Rating (DCR) aims to build a credit profile of the borrower using other blockchains, and will also make the data accessible to other blockchains. There are also other off-blockchain methods to access data and build a credit profile of the borrower. EthLend offers a platform where borrowers and creditors can connect and negotiate borrowing terms. EthLend allows any Ethereum token to be used as collateral, with the LEND token being used to secure fee discounts for the system. Loans are secured in Ether with defaults resulting in a forfeiture of all coins held as collateral. ETHLend will integrate with an identity verification system built on the Ethereum blockchain called uPort. Users can claim their decentralized identity and link it to their entity on the ETHLend blockchain. Even borrowers who do not have collateral can get access to unsecured lending. The risk can be mitigated by limiting the amount of Ethereum that a borrower can give a loan. The borrower then gains a good reputation when they pay back this loan and earn reputation tokens which gives them access to bigger loan amounts. The platform can be used in the crypto-economy for fundraising to invest in ICOs or other tokens. It also has use in the traditional fiat-based economy. It can be pegged to the USD and reduce volatility in lending transactions. Also, tokenization of things means that any real asset can be traded as an ERC-20 token on the blockchain. Literally anything can be put up as collateral on a loan transaction. 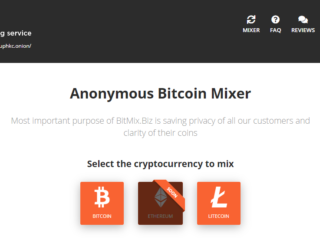 xCoins is a peer-to-peer platform that connects Bitcoin creditors and borrowers. Loans that originate on the platform are person to person. xCoins is merely the middleman that facilitates the transaction. The California-based company allows users to get BTC through a “secured loan”, which can be paid for with any payment method recognized by PayPal. Unlike regular exchanges, borrowers can get their money back if they no longer want the BTC. Lenders can also join xCoins for free. If you decide to provide a cryto loan, you can set your own interest rate, collect the loan origination fee and collect the PayPal processing fee. xCoins recommends that creditors set their interest rate fee at 15% to start. If you have a PayPal account and a credit card, then we recommend you to opt for XCoins, as the service specializes in helping their customers acquire Bitcoins through PayPal using their credit cards. The process for obtaining coins remains pretty simple and basic. All you need to do is sign up on the service, give away your identification details and verify your identity, and deposit the U.S. dollars equivalent of the BTC you need to borrow. You might even be asked to submit a nominal processing fee, so be prepared for that as well. Now the service is as open to creditors as it is to borrowers. If you feel that it would be in your best interest to lend some of your Bitcoins to borrowers in exchange for whatever fee the website has agreed upon, and are looking to make a quick buck, do sign up on this service. The first step, however, begins with deciding on the amount which they are ready to provide as a loan. This is an essential part of the process, since, based on this very information, matches will be made between the borrower and creditors. After the amount is agreed upon, a search is conducted and whenever a perfect match is found, the borrower is expected to deposit the money into the lender’s PayPal account. As far as customer support is concerned, although XCoins does provide an option to contact the website administrators or support staff for resolving complaints, it could potentially take several days before a proper and effective response is received. Bitcoin loans are new and not well regulated. But they could be a viable alternative form of financing for someone who doesn’t meet standard credit requirements. Interest rates are often lower and funding can be nearly instantaneous. Over the last 10 years, peer-to-peer lending has established itself as a credible competitor to traditional loan and investment opportunities. It provides access to an asset class with an exciting risk-and-return profile. Loan platforms are gaining momentum these days, as they can process cross-border payments easily, rapidly and without any need for a traditional currency exchange. Due to the increasing adoption of Bitcoins, more platforms will enter this space with even better facilities and security.